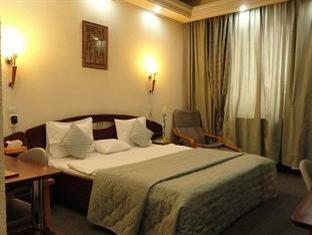 ﻿ Relax Comfort Suites Bukarest . JIMAT di Agoda.com! Ada soalan mengenai Relax Comfort Suites? Dibina pada 2003, Relax Comfort Suites merupakan tambahan menarik di Bukarest dan satu pilihan bijak bagi para pelawat. Hanya sejauh 15.0 Km, hotel 3-bintang ini boleh diakses dengan mudah dari lapangan terbang. Juga terletak berdekatan adalah Memorial Salib, The Holy Saviour Italian Church, Forever Young Shop. Di Relax Comfort Suites, perkhidmatan yang cemerlang dan kemudahan yang unggul menjadikan penginapan anda tidak dapat dilupakan. Untuk keselesaan dan kemudahan tetamu, hotel ini menawarkan Wi-Fi percuma semua bilik, pengawal keselamatan 24 jam, pengemasan harian, kedai cenderahati, khidmat teksi. Semua bilik tetamu menawarkan pelbagai jenis tahap keselesaan. Banyak bilik turut menyediakan televisyen skrin rata, internet wayarles (percuma), tab mandi pusaran air, bilik larangan merokok, penyaman udara untuk memuaskan hati tetamu. Di samping itu, pihak hotel menawarkan aktiviti rekreasi untuk memastikan anda mempunyai perkara untuk dilakukan sepanjang penginapan anda. Apa juga tujuan lawatan, Relax Comfort Suites merupakan pilihan yang terbaik bagi penginapan anda di Bukarest . Very happy with the location and it is near the old town where most of the activities are. 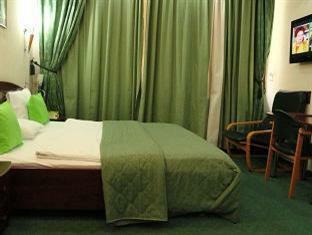 We are provided clean linen and the room was made up everyday. However, there was a cockroach in the bathroom on the first day and the reception staff was unable to remove it until the staff comes in at 8 a.m. Otherwise, everything else is excellent. Was perfectly acceptable for an overnight stay. Good value for money. Very close to old town. excellent location in old city center. big rooms. 15 min walk to old town. Great breakfast opptions. Frendly staff. Good location in the city center. room was good, staff was nice. Good location. 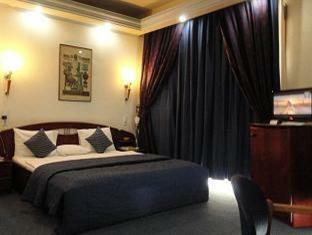 Big and comfortable room. Very old fixtures and fittings ..will be the last to sell out..location ok! The staff was nice, but the room smelled vaguely of smoking and some cleaners to cover up that smell, but maybe over time the smoking smell will disappear. I enjoyed my stay in this nice hotel and wish to come again in near future. Relaxation , location , and friendly staff. It was relaxing quiet for it's suroundings and food was good. Old City within about ten to twelve minutes and many bars and massage shops to choose from. Foods too. music and gals. 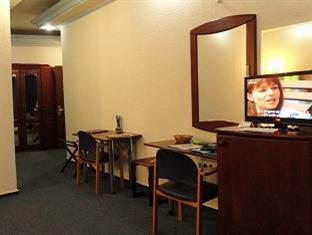 Good stay in a comfortable room. Staff were very helpful. Recommend for a good value option in bucharest. after all we spent a pleasant time, good cleaning room service, nice and friendly people. No bad surprises. they offer what they advertise. 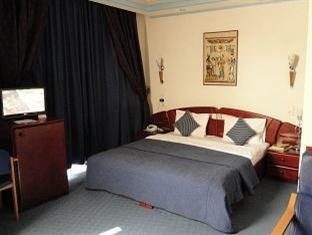 Definitely is a place to stay for two lovers visiting Bucharest. You can walk to a lot of fancy downtown restaurants and clubs. No need a cab. Special thanks to their bellboy Mr Mitica - very friendly and helpful, giving you a safe filling. Free and fast Internet Access in your room is REAL. Service with a smile. Many thanks. A recommendation is warranted from Claudia and Mike. I can really recommend this hotel, a good price, big room size, close to attraction and the beautiful city center with hundreds of bars and restaurants. The breakfast ist enough for everyone, but its no a big deal. Fantastic, clean and friendly. We loved our time here and the location was perfect. We had good help from reception and the train station is down the road about 5 minutes. We also went to La Mama across the street and just down the road a famous Romanian chain restaurant.